Prof. Dr. Andreas Beyer and his group analyze the aging process in the human body and in model species by simultaneously observing the activities of all the genes in an organism. The working group develops algorithms for filtering large amounts of data for relevant information, such as interactions between genes and proteins. Integrating heterogeneous data sets is of particular interest, as this can open approaches to new questions that cannot be answered by evaluating individual data sets in isolation. 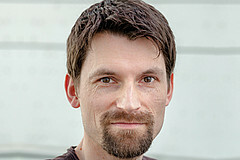 Our research: Prof. Dr. Andreas Beyer and his working group use and develop computational approaches for exploring age-associated changes in molecular networks. 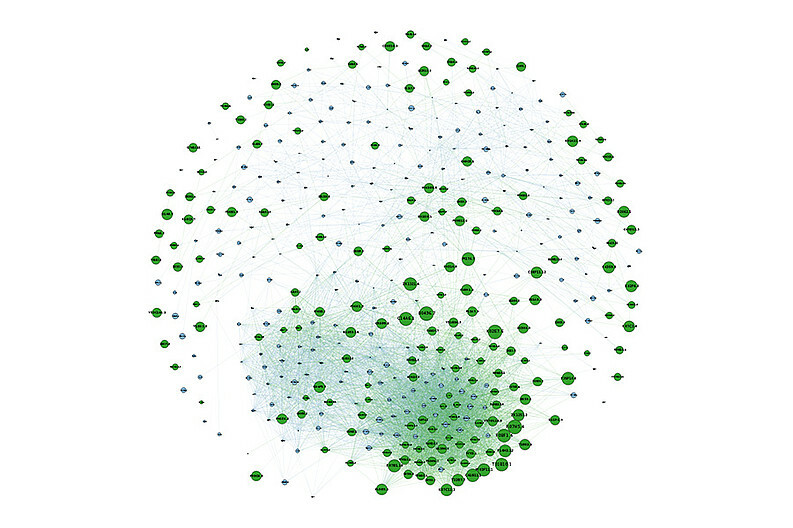 The integrated analysis of protein concentrations, gene activities, and network information, for example, allows for the identification of specific molecular networks that are subject to activity changes as part of the aging process. This yields information about the mechanisms of the aging process itself, and could help to identify interventions that might delay aging. Our successes: The working group has made important contributions to further develop a range of biostatistical and bioinformatic methods, such as gene mapping techniques, network biology, and functional genomic screen analysis. The group’s work has also yielded fundamental findings on the link between a protein’s function and the manner in which its concentration is regulated in the cell. Our goals: The scientists are interested in the mechanisms of the aging process and their manifestations in molecular networks. The ultimate goal is to use analytical and statistical algorithms to diagnose the individual causes of disease so as to develop a personalized treatment plan. This will improve therapeutic effectiveness and reduce side effects at the same time. Our methods/techniques: The working group uses computational approaches from biostatistics, machine learning, and network biology to analyze, represent and integrate data from their own, joint, and third-party projects. Figure 1: Network of genomic regions affecting protein levels in yeast. 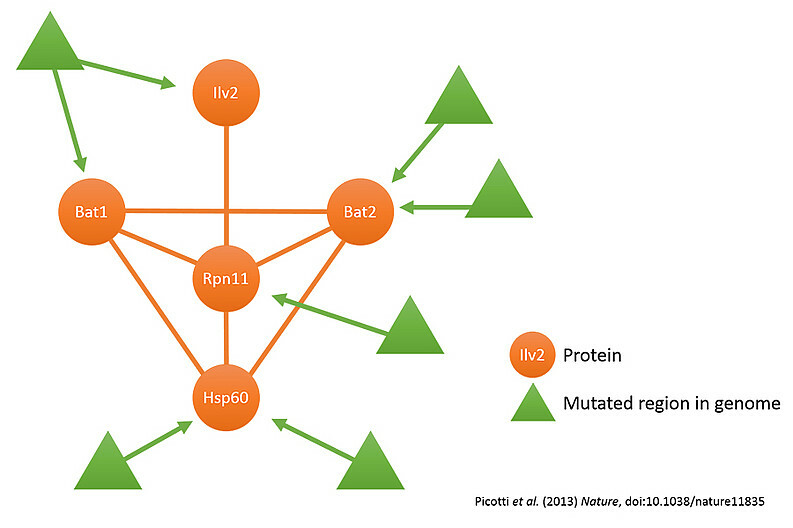 Each triangle is a genomic region affecting the protein level(s) of the respective protein(s). Proteins that are linked are binding to each other. This figure shows the complexity of genetic variation between individuals and to what extent protein levels are affected by those. Figure 2: A gene network determining lifespan extension in the nematode worm Caenorhabditis elegans.